The Members of the European Parliament (MEP) Rare Bleeding Disorders Group was established as an informal entity back in 2015 as a result of politicians’ will to collaborate and address the challenges faced by the rare bleeding disorders community. The group’s objectives include to further raise awareness on the topic, understand where concrete actions are needed and to identify how its members can cooperate to improve the situation for patients in this field. The first meeting of the group took place on March 24th 2015 with all five members, at the time, present – Dr. Paul Rübig (EPP, Austria), Dr. Miroslav Mikolášik (EPP, Slovakia), Nessa Childers (S&D, Ireland), Heinz Becker (EPP, Austria) and Cristian-Silviu Buşoi (EPP, Romania). Since 2015, MEP Norica Nicolai (ALDE, Romania) has also become a member; in mid 2017, MEP Jana Žitňanská (ECR, Slovakia) joined the group as well. 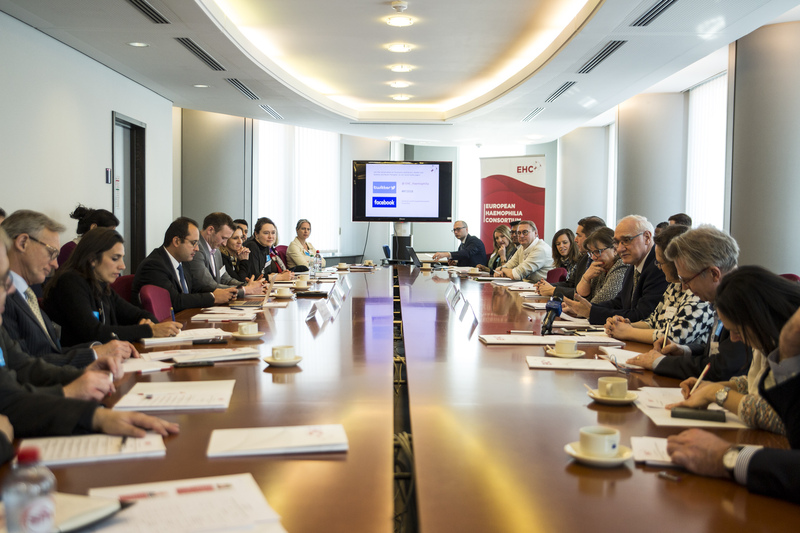 On November 28th 2017, the group was officially formalized to give a further political thrust to their vision of improving the quality of life of people living with haemophilia and rare bleeding disorders. A group work plan is also going to be published soon.